It’s been a long while since I’ve used an oil cleanser – for no particular reason because I do love them. I’m not sure if they just fell out of favour or if I just haven’t come across any new ones to tell you about til now. Anyway, I’ve used the Calendula and Mandarin Hot Cloth Cleansing Oil a couple of times now and it’s just beautiful. There’s more mandarin to the scent than calendula so you end up doing those big, grateful inhales that some aromatherapy notes make you do while massaging it over your complexion and then taking off with a warm, damp cloth. It’s so much more of an experience than using a micellar! I’ve also tried the Rosehip and Mandarin Facial Oil (doesn’t have as much aroma to it as the cleanser) which is one of those very sumptuous oils that makes you feel like you’ve been to the spa. It has enough weight to it that the skin feel is luxurious and immediately softening – I found the scent quite soothing so it’s a good one for night time. The only one I have yet to try is the Lavender Eye Make Up Remover Oil which isn’t nearly as scented as it sounds but apparently is something close to miraculous for removing lash glue and waterproof mascara. All of the products are incredibly reasonably priced (and on offer at the moment) – the Calendula and Mandarin is £12, the Lavender is £6.40 and the Rosehip and Mandarin Facial Oil is £12.80. Stock up HERE. 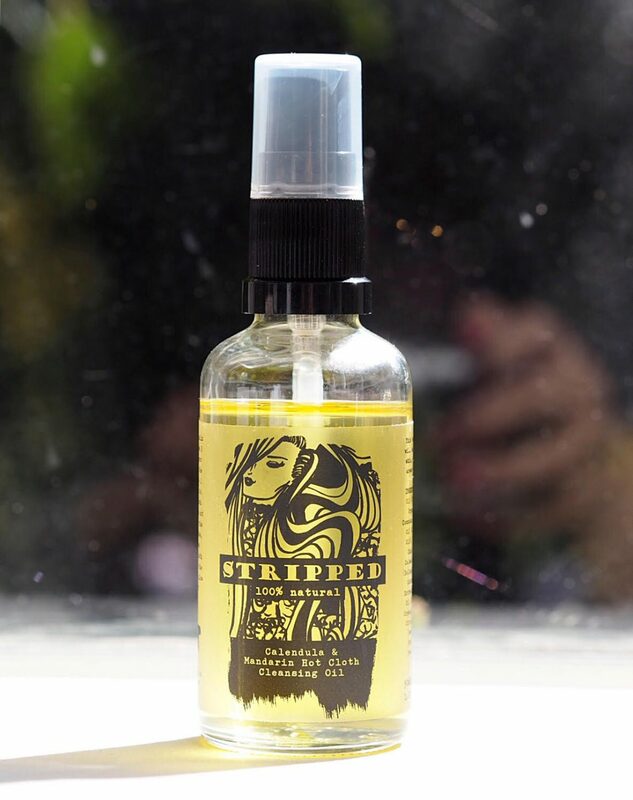 Stripped is a small and young brand and it’s so great to see some illustration on the labels – it’s just going one step further and losing the ‘worthy’ quality that some natural brands have. If you’re an oil fan, you’ll love these. The blends are majority built from orange seed oil, castor oil, jojoba oil and grape seed oil with extras such as kiwi seed oil, sea buckthorn and lemon oils depending upon the blend. Everything is organic and vegan.